PETER SNOWDEN described him as one of the best horses he’d trained when head trainer at Darley and if we needed some convincing that Epaulette would translate his undeniable talent as a racehorse into his new career as a stallion, then his flying start with his first crop in the Northern Hemisphere goes some way to suggest he is set to be an unequivocal success – and you can grab the value now and race your very own Epaulette colt with Triple Crown Syndications. The two-time Group 1 winner has struck with his very first runner to have touched ground in Europe, with the filly out of a King’s Best mare showing considerable improvement from her first start to claim a smart juvenile race at Maisons-Laffitte in France. Epaulette’s progeny went through the sales ring at an average of $55,000 in Great Britain in 2016, with the table topper being a $256,000 filly out of Onomatomania. His Australian yearlings were equally as popular, selling for up to $260,000. As often is the case with first-season sires, considerable value can be found in their progeny in the early stages of their stallion career, as stud fees are lower with the stud farms keen to get their stallions on the highly competitive ladder. Here at Triple Crown we recognised early the considerable talents of Snitzel, picking up subsequent Group 1 winner Hot Snitzel and Group 3 winner Flying Snitzel within his second and third crops for just $60,000 and $25,000 respectively. At the recent Inglis Easter Yearling Sale his progeny sold for an average of $537,500 from 38 lots to sell. 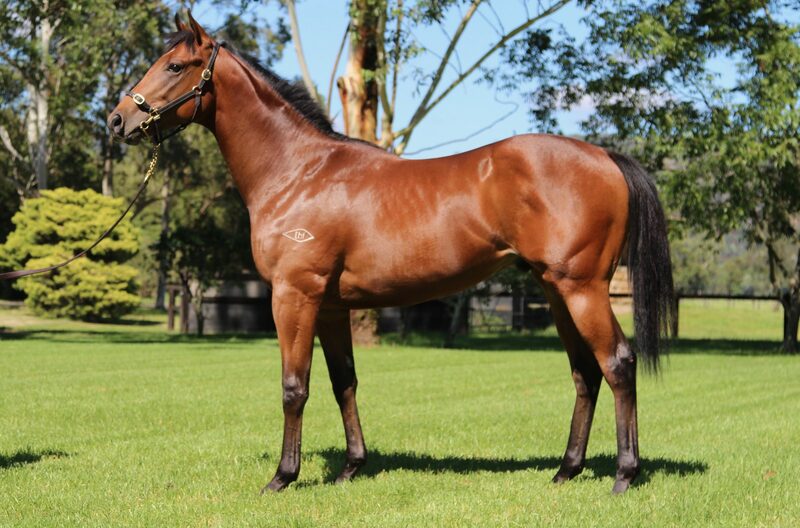 Triple Crown have shares available now in an athletic and classy colt by Epaulette – so don’t race his progeny when the price soars – grab the value and race the progeny of Epaulette now! Strong and athletic colt by EPAULETTE – the dual Group 1 winner from a golden era of Australian racing! ← Don’t miss this filly by a sire on the up!